Charlee came home from school today and is usually the case, she doesn't say much about her day right away. There are other more important things to her when I pick her up than talking about her day. Like finding out what Andee and I did while she was at school...making sure she didn't miss out on anything. Like the way she peers over the kitchen counter as she walks into the house inspecting things for any change that might have taken place while she was gone...like more bananas appearing in the fruit basket indicating that we might have purchased something at the grocery store that might interest her. Anyway, this afternoon as we headed upstairs to get ready for naptime, she casually said, "Mommy, today at school I had to say how many brothers I have and I said, 'One,' because I have Max." "Oh wow, honey, that's great. Did you also have to say how many sisters you have?" "Yes, and I said, 'Two,' because Kate will be here soon too. Mommy, there are 6 in our family now. We have lots of people." "Yes, that's right, sweetheart. Our family is getting bigger." ...and then I about burst into tears, but thankfully didn't because that might have really confused her. Charlee is the kind of little girl that doesn't always say much about what she's feeling, but she doesn't miss a thing, takes it all in and then reflects on things in her own time. Occasionally, there will be glimpses like this indicating that she does think a lot about things, just not in the moments when Adam and I would maybe want her to. There's a lot going on in that little 6 year old's mind. And I love when she lets me have a peek into her heart when I'm least expecting it. Adam calls today at 8:15 am with this question: "Are you sitting down?" "No, I'm not. And I'm not going to. Why?" was my response from the other end of the line. 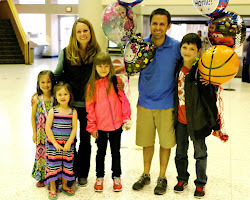 After so many ups and downs in this adoption process I had clearly in that moment decided against being hopeful. Definitely a struggle of mine and one in which God is very much growing me. In that moment though I chose to be calloused toward hope. Why would it be a good reason for which I would need to be sitting down? Ugh, my cynicism entered in. I continued to stand when Adam said, "Our appointment is March 11th." To which my calloused heart in its continued cynicism replied, "No, it's not." I offered this statement very confidently as we had not even heard that our dossier, which was submitted on January 22nd, was registered. And as I follow so many other family's timelines, I knew that the next step was to receive word of registration, NOT word of an invitation. After confirmation of our dossier being registered, then we would receive an invitation to go to Ukraine for our DAP (SDA) appointment. Adam graciously corrected me and said, "Nope, it really is March 11th." Quietly, I'm thinking to myself, "Well then it must be March 11th of 2105." Everything in me wanted him to be wrong. Not because I don't want to go...not it at all! Because I'm a planner and there's not much time to plan when you're given just 2 weeks notice before you will leave the country for 6-8 weeks. And leave your children behind. With instructions...lots of instructions. But then the Spirit turned this calloused, stubborn heart of mine to hope and joy. "That means that when we Skype on Wednesday with the kids we get to tell them that we'll see them in 2 weeks! ", I said. God is good. And He is gracious. And He goes before us. I will cling to this truth in the next two weeks, and the many weeks following, as we are in country and our family, as we know it today, begins to change. 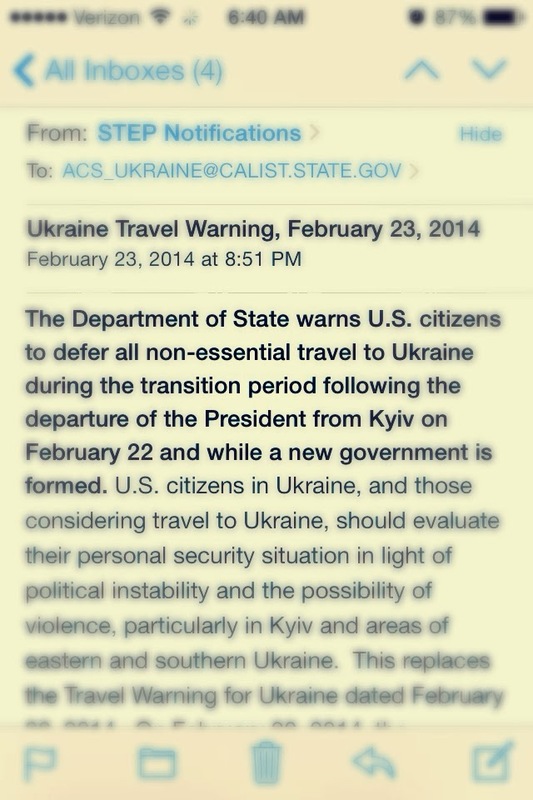 We continue to get almost daily updates from the US State Department warning us that all "non-essential" travel by Americans to Ukraine is not recommended. Only problem with these updates is that they don't apply to us whose travel is "very much essential." We have said "anything, Lord" all along the way and we won't stop now.